The oldest historical mention of Borynia dates from around 1305 and is written in the Liber Beneficiorum of bishopric in Wroclaw (Liber fundationis Episcopatus Vratislaviensis). This means that the village was founded long ago but this year it was placed in the list of villages liable to pay tithe. During this period Borynia was within the Duchy of Racibórz-Rybnik. In the past the village was divided into: Upper Borynia, Lower Borynia and Middle Borynia. The Palace was a knight village and a property of many noble families. Probably, the palace was built in 1781 when John von Schlutterbach was a rich owner of the estate (since 1760). Schlutterbach was noble family of Austrian origin, who acquired a landed estate known as Prussian Province of Silesia. The areas that previously belonged to the Habsburgs, were included in the boundaries of the Kingdom of Prussia after Silesian Wars (1740 – 1764). Habsburgs were divided into two classes: members who have the title of baron (Freicherr) or those with the title of sir (Herr). The latter title belonged to Schlutterbach family that was between nobility and baron. They were an example of typical representatives of their class who cherish their traditions, values and lifestyle. Schlutterbach started social life and maintained good relations with owners following the purchase of goods in Borynia. John von Schlutterbach died in 1786, at the age of 64, leaving two sons: Ferdinand and Charles. It is known that Ferdinand learned in Cistercian Middle school in Rudy, and as an adult, he was a second lieutenant in a hussar regiment in Gröling. After his father’s death he took over the property in Upper Borynia, in 1793, and bought another property in Lower Borynia (that was in possession of de Dressler). In this way, he became the lord of the whole Borynia. In addition, in 1798, he acquired territories in Godów (in the current district of Wodzislaw). In 1820, John von Schlutterbach relinquished Lower Borynia for his son Franz Ferdinand (“Königl. Lieutenant”), who sold it to Louis de Anhalt Coethen (Prince of Pszczyna) 20 years later, in 1840. Henceforth Lower Borynia belonged to the Prince of Pszczyna. The territories in Upper Borynia remained in the hands of Schlutterbach until 1840 that is eighty years and they were the sole owners of Borynia for a long time. Unfortunately, the local inhabitants remembered them as very negative people and these memories were passed through generations. The owners were changing after Schlutterbach family. From 1853 to 1899, the territories belonged to Paul von Madejski-Poraj – that was affirmed A. Nowack in his book “Schlesisches Güter Adressbuch” (from 1891, when the owner was Fanny von Madejski but her surname at birth was Rheinbaben). She managed the territories with administrator help (named Naleppa). The total area is 405 ha, of which arable land covered 321 ha, meadows covered 34 ha, forest covered 40 ha, area near the palace covered 10 ha. There were farm animals including 20 horses, 70 cows, 25 pigs. As a non-agricultural business, steam milk processing was operating there. The next owner was Baron Emil Durant, son of Emily Henry Durand Konrad von Erdmann who was a landowner of Rybnik and Charlotte (surname at birth was Kalinowski). 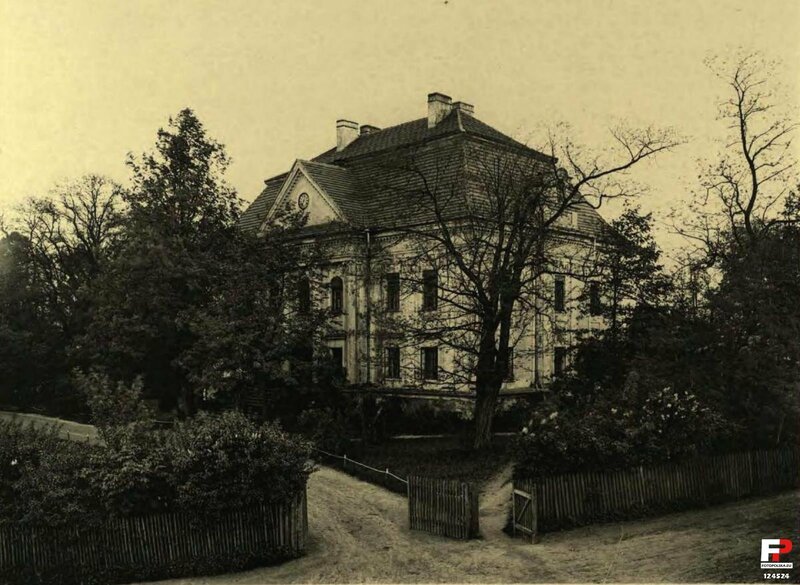 After the death of Emil Junior (he died in 1894, at the age of 55) his wife – baroness Maria von Durant Martha (her surname at birth was von Raczek, who came from Dluga Wies in a district of Gliwice) inherited the estate. According to the records from “adressbuch” of 1902, the property had not changed even then but there were people who helped in managing it including the director of the property, the inspector and his assistant, forester and the manager of distillery. It is worth mentioning that a distillery was open as a non-agricultural business. Baroness Martha Maria von Durant (died in 1927) transferred the land to Waldemar Schippan. She did not pay off the debts, therefore, in that period the land was partially taken over by The National Bank of Berlin (Berliner Landbank), the second part was taken over by a church in Krzyzanowice and by villagers from Osiny. However, the third part belonged to settlers from Lesser Poland. It is unknown what happened on these territories during The First World War. The fact is that in 1917 the owner was Kurt Dobers (who employed one manager, distiller and forester). The land was still defined as knightly wealth but the area was only 230 ha, of which 201 ha – cultivated fields, 20 ha – meadows, 1 ha – pond, 3.5 ha forest, 2.5 ha – park, 0.5 ha – garden. The distillery as well as the milk processing was run as non-agricultural activities. Their conditions outlasted until 1921. What is more, 31 000 of alcohol was obtained annually form the distillery that was written in “Adressbuch” as an additional information. Furthermore, the dairy processing and production was still run and potatoes were grown for the needs of food industry. It is worth mentioning that only modern steam engines were used on the farm. East Prussian and East Friesian Purebred livestock were also imported from the Netherlands. Farms with more than 100 ha in the area of Silesian Voivodeship were parcelled out by the end of 1937. The total area was 24 831 ha of arable land of which the private property covered 15 210 ha. It was the former property (including the property in Borynia). It should be added that land division was the best way for many owners to receive cash. Parcelled land needed to be restored after the war in order to pay off taxes and debts and maintain, at all costs, the former standard of living or for fear of expropriation. Despite the fact that the land in Borynia was completely parcelled out, the Palace with its area remained the same. In the “Adressbuch” there was no longer any mention of the Kings’ castle in Upper Borynia in 1937 (because only lands with more than 50 ha were mentioned in the book). There was however, an information about Baron von Dalvig-Nold who leased the princely property (196) ha in Lower Borynia. In the years of 1939-1945, the Palace was in the possession of the German administration. During the occupation the building was converted into a nursery school. 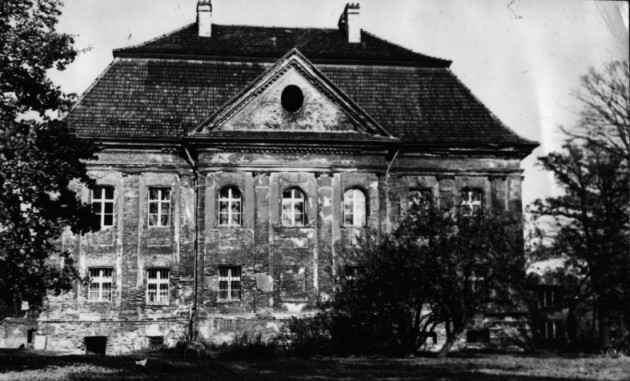 During the war in 1945, the Palace was severely damaged outside and inside. But the interior of the Palace was completely devastated. On 20 February 1959 the Palace in Borynia was leased by the Communal National Council in Borynia which has its registered office there. In 1962, there was a reconstruction of mansard roof with dormers covered with tiles. Moreover, an openwork banister of classical architecture leading to the second floor was removed because the building was adapted to the requirements of a primary school. The primary school was here from 1960 to 1985. In Upper Borynia, the remaining part of the building was bought by Mrs Ledóchowska. The building has been entered in the register of monuments in February 1966. When the school was relocated in 1985, KWK Borynia (The Coal Mine in Borynia) purchased the palace and had it renovated for the second time. The aim was to adapt the building to meet the needs of the SITG Training Centre. Then, the building was taken over by the Jastrzębie Coal Partnership S.A (joint-stock company) and had it renovated again. In 2008, the building was put up for sale by the Jastrzębie Coal Partnership. 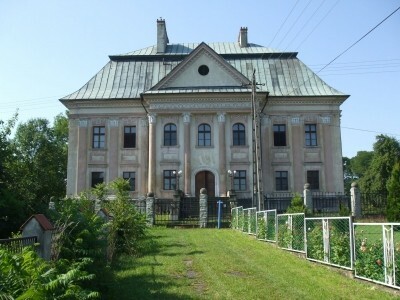 In 2009, the Palace in Borynia had a new owner. The building was completely renovated and converted into a hotel and a restaurant.